Now before we get into this article, this is not for the faint-hearted. There are going to be some serious numbers discussed, the kind of information that you can share at dinner parties. Firstly, have you ever bought a ticket in the Lotto? Have you ever looked at the odds of winning? Basically for every 18 games you play you have a 1 in 452,503 chance of winning Division 1. 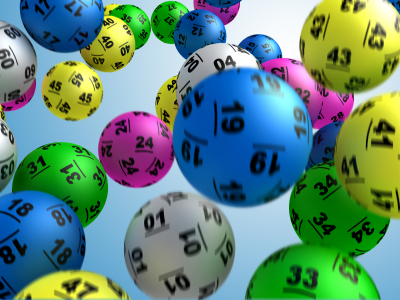 What if you buy a lottery ticket often over your lifetime – surely that will increase your chances of winning? Yes, absolutely it will. However the chances are still slim. Let’s look at the numbers. If you buy a Megapick Lotto ticket for $23.90 once a week for a whole year, your chances of winning a Division 1 prize is 4347 to 1. If you buy a Megapick Lotto ticket every week from age 18 to age 65 (2444 weeks), your chances of winning Division 1 go to approximately 1 in 100. In other words, you have about a 1% chance of winning Division 1 in Lotto if you buy a ticket every week for 47 years. Here comes the serious part – what if instead of buying a Lotto ticket, you invested the money on a weekly basis. As you would be investing a regular amount over a long time, you can reap the benefits of compound interest. Now, it may not be practical to invest $23.90 on a weekly basis, however this theory demonstrates that doing something small over a long time period can add up to a lot. OK, firstly the assumptions. We are not inflating the cost of the Lotto ticket over time. In 10 years you will most likely find the price of an equivalent lotto ticket will be higher due to inflation. We are assuming an investment return of 9%pa and we do not take tax into account. Given the assumptions if you saved $23.90 per week from age 18 to 65, you would have $2.53 million in your investment account. So there are only 4 variables with this example – the amount you save, the investment return, the number of deposits and the timeframe. It does not have to be Lotto, it could be skipping a lunch each week, giving up smoking or just finding some extra cash. I am sure we would all think we have won Lotto if we had $2.53 million in the bank. If you are over 18, we have some catching up to do. To look at compounding in nature, have a look at this video. You can read more about compounding in the Cashflow and Compounding learning module. Do you want to know how to calculate returns on investments? See the Investment learning module. You might be interested in this article on saving for children - Hi Mum and Dad - Can I have some money? Do you have a lease or will you be getting one soon? Use our Leasing Calculator to calculate what your lease payments would be.